A sofa is usually the center of family activities —playing video games watching TV and weekend movie marathons, just to name a few. These often involve a lot of snacking, accompanied by a host of beverages. The said beverages are the most prominent culprits responsible for a variety of stains on your sofa. Although adults can wreak havoc on any furniture in their own right, children and pets usually make the situation worse. Think sticky fingers and muddy paws – you’ll get the idea. Combined with the fact that your fabric sofa absorbs a host of smells overtime and you end up with a thorough cleanup job. Happy times become a little less happy if they leave lingering smells behind. X, which means only cleaning with a vacuum cleaner or dry-brushing is allowed. Make an informed choice of cleaning methods in order to better preserve your fabric sofa. Ours was marked WS, so we were able to perform a thorough cleaning. Using the brush tool, vacuum the entire surface of your fabric sofa. 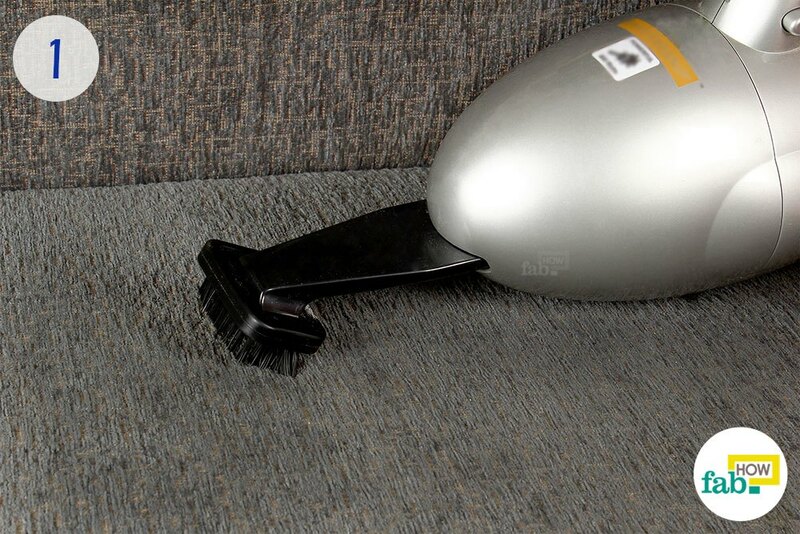 If your vacuum cleaner came with an upholstery tool, use that. This will remove most of the loose dust and debris that has settled on the surface, even if it’s not very noticeable to the eye. You may very well be astonished by the amount of dirt collected in the dust bag of your vacuum cleaner. 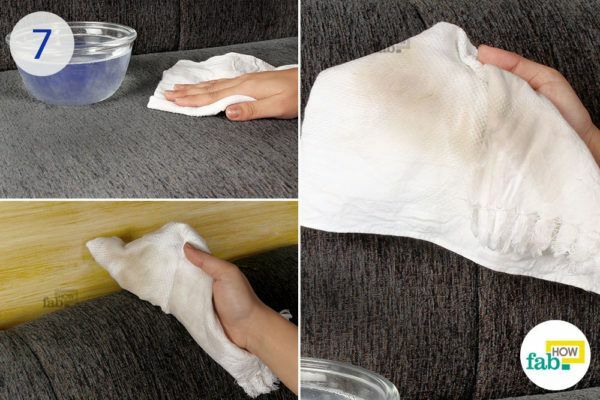 And if you weren’t convinced earlier that your sofa needed cleaning, this step just might give you the reality check you need. After vacuuming, brush the entire surface of your sofa with a soft-bristled cleaning brush. The brush will easily snag hair, pet hair or other similar materials that tend to get embedded in the nap of the fabric and conveniently pull them out. This brushing will also loosen up the deep-settled dust. Now, sprinkle baking soda all over your sofa. 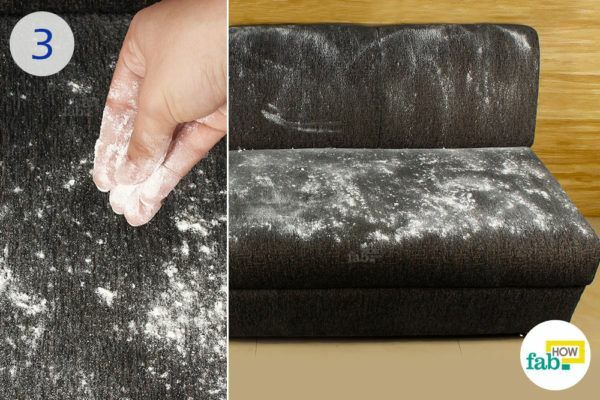 Let the baking soda stay on the sofa for about 20 to 30 minutes. Baking soda works wonders at most cleanup jobs. 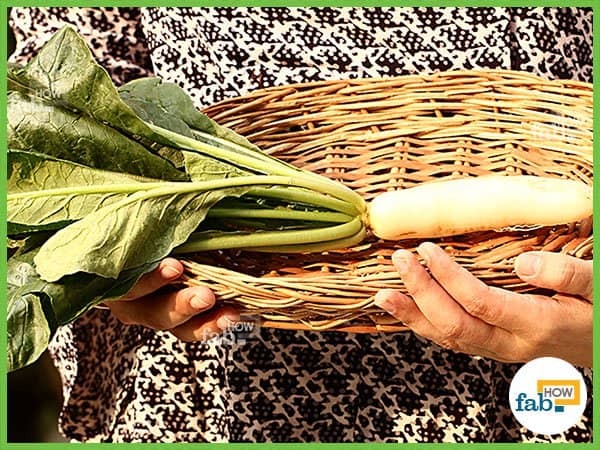 It eliminates unpleasant odors and helps break up stains. And dirty sofas are all about disagreeable odors and hard-to-ignore stains. 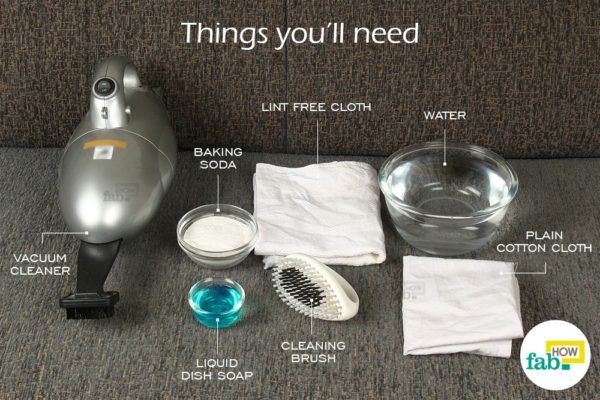 Vacuum the sofa again to clean off the baking soda. You should be able to see considerable improvement in the state of the fabric at this point. Put 2 or 3 drops of liquid dish soap in about 4 cups of water. 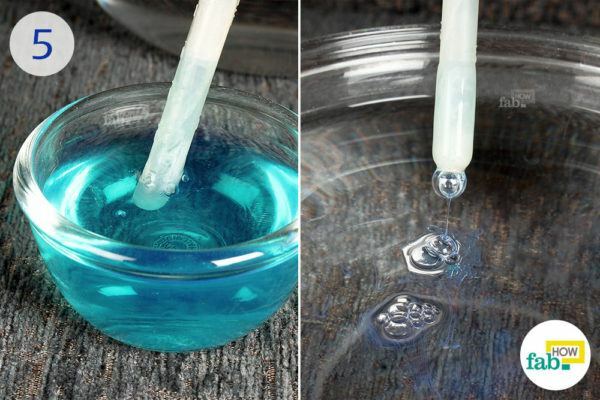 Use a dropper to measure it out if needed. Soap should be used in a very sparse quantity. Dissolve the soap thoroughly into the water. Taking note of the fabric, you may use a different liquid soap that better suits your sofa. Any lingering stains on the sofa can be spot cleaned. Dip one end of a cotton cloth into the cleaning solution and squeeze out any excess liquid. Rub the soaked end of the cloth onto the stain. Working in gentle circular motions, try to get as much stain out as you can. When you’re done, soak up the excess moisture on the sofa with a dry lint-free cloth. A variety of day-to-day stains can be removed this way. Wet a lint-free cloth with the cleaning solution. Ring out as much liquid as you can. 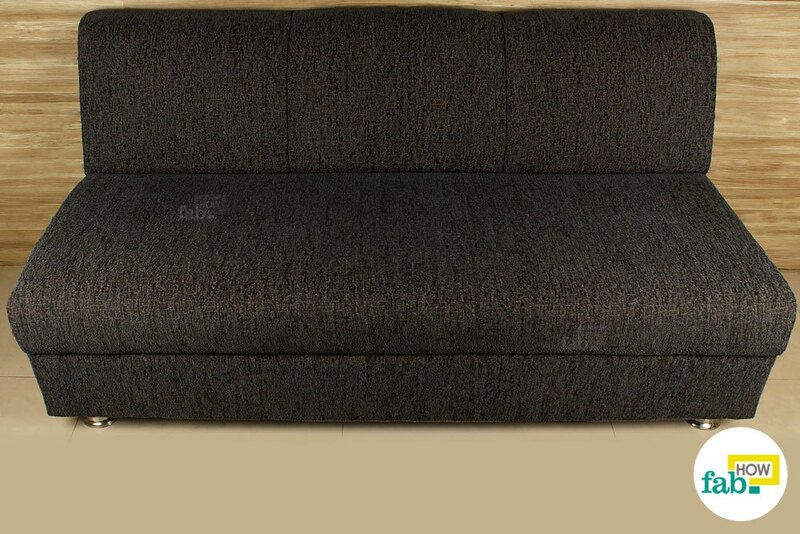 There should be just enough moisture in the cloth so that it doesn’t allow any to soak into the sofa’s fabric. Thoroughly wipe down the entire fabric surface of the sofa with the damp cloth. 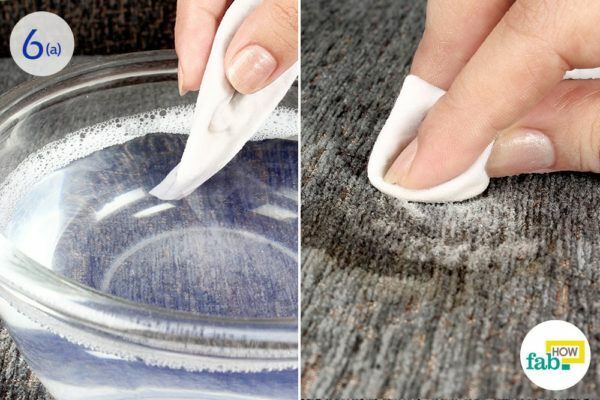 This final wipe down will effectively clean the surface of the fabric. 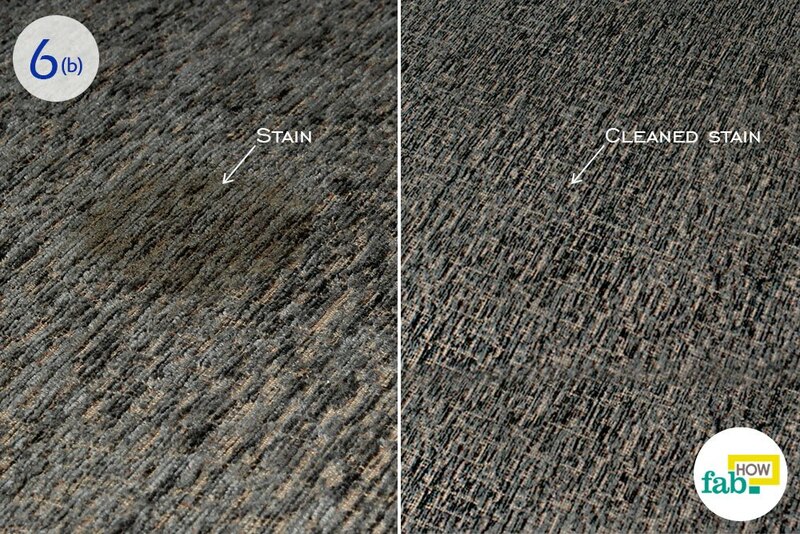 The damp cloth will easily pickup the dirt from the fabric and you’ll be able to see the evidence on the cloth. Let the sofa air-dry after you’re done cleaning it. Your sofa will not only look cleaner, but also more inviting. 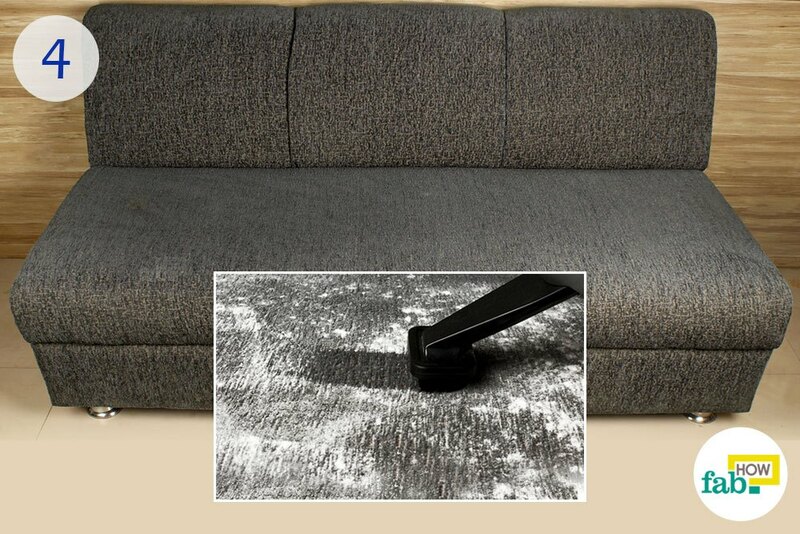 Vacuum your fabric sofa at regular intervals. It will help you deal with the dirt before it becomes a part of your furniture. 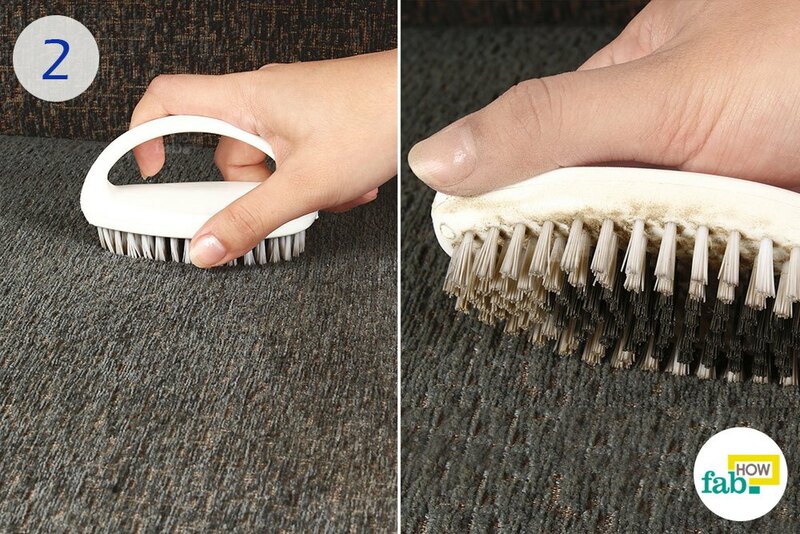 This will considerably lessen your work and your sofa will stay clean as well. Keep in mind the soap-to-water ratio. You must use the minimum amount of soap possible. Always test your cleaning solution in a discreet area first. Continue only if the results are positive. The same goes for using any other cleaning product on your sofa. Deal with spills (food or beverages) immediately. Food particles should be brushed out and beverages should be immediately soaked up with a dry absorbent cloth. Soak up fresh oil and grease stains with a paper towel. Baby wipes are a reliable option for spot cleaning of immediate stains. Again, test it in a discreet patch before use. Thanks for giving these excellent tips.